College Football is over…and a College National Champion decided…The Super Bowl is coming up on Sunday…and we look forward to February and a month of college basketball. Many important conference games will be played, leading up to March Madness and the NCAA Basketball Tournament. 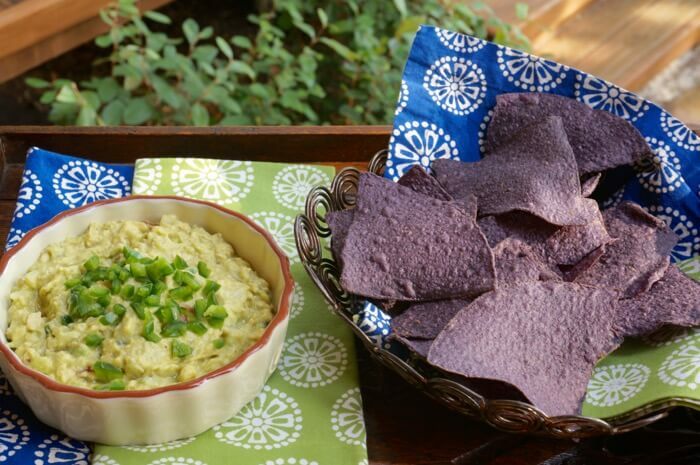 Nothing goes better with Super Bowl Sunday and college basketball tv viewing parties than a good dip. One of my favorite quotes from Reba McEntire in her television series, “Reba”, is “The dip’s making the dip”, referring to her sort of goofball son-in-law. So let’s talk dips! My go-to appetizer is easy and served hot. It includes the traditional artichokes, parmesan cheese and mayo, but with my twist, black sliced olives and Rotel’s tomatoes and green chilies. Always a favorite! After processing artichoke hearts, combine all other ingredients. Bake in a 350 oven for 30-45 minutes. Be sure to drain tomatoes and olives before adding. 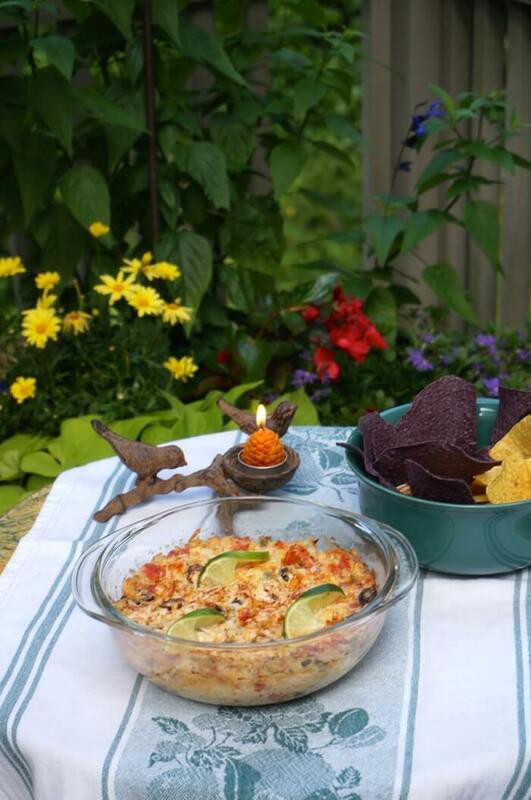 Serve with crackers or blue corn chips. I make this all the time!!! Kathy's favorite hot appetizer. 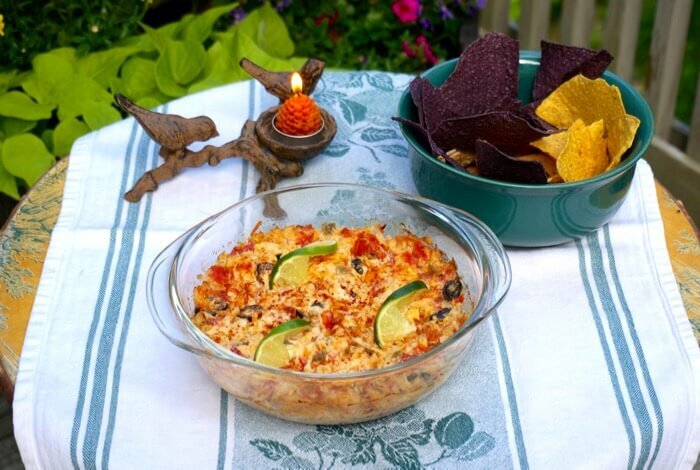 Jeff suggested using Rotel diced tomatoes & green chiles with LIME. We tried it with fresh lime juice and it was delicious. Think this will be a great new addition. 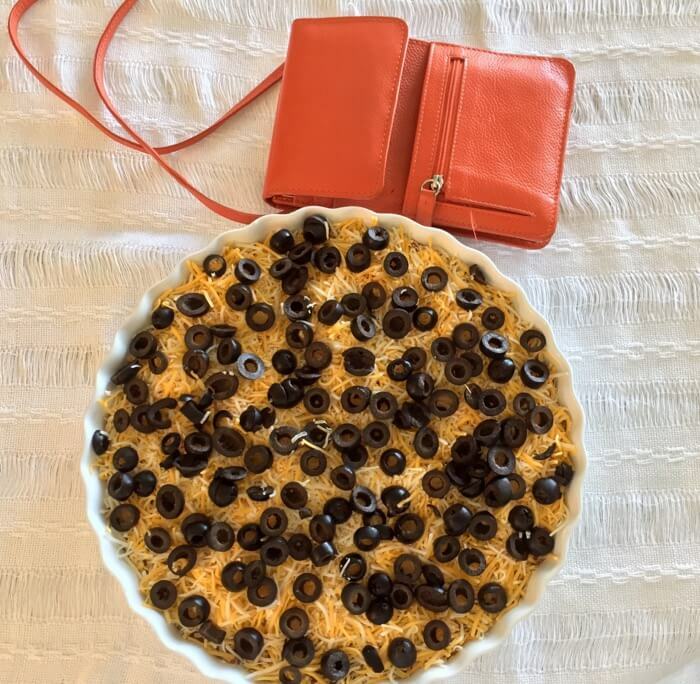 Another good hot dip is Donna’s Dip…given to me by an avid Ole Miss fan. A nice cold dip, inspired by my favorite BLT sandwich from Cornucopia (in Cashiers). In a small bowl, mix cream cheese, mayonnaise and Parmesan cheese until blended well. Spread into large shallow dish. 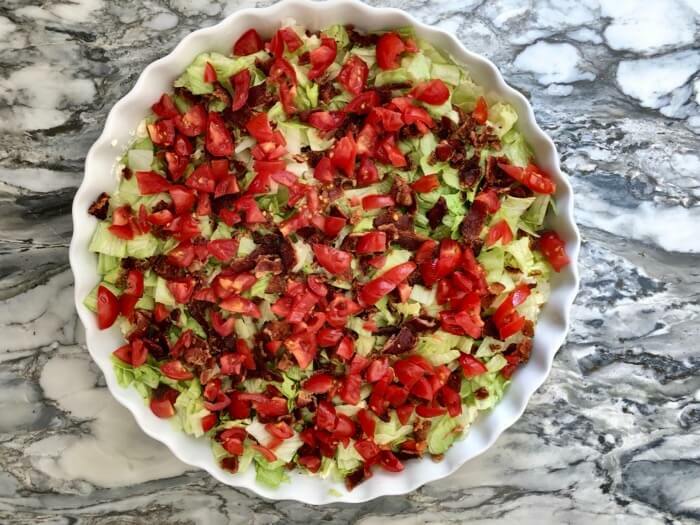 Layer with lettuce, bacon, tomatoes, onions and avocado. Refrigerate until serving. Serve with sliced baguettes. My favorite BLT (sandwich) comes from Cornucopia in Cashiers, NC. They add add sliced avocados to make it a "California" BLT. Everyone loves a good guacamole. I like mine with lemon although lime is delicious too! Cut the avocados in half, remove the pits. Peel and dice. Place in bowl. Add hot sauce, onions, garlic. Using a sharp knife, slice through the avocados in bowl until they are finely diced. The jalapenos or pepita seeds are optional...Also some like lime better than lemon. I like it either way although I love lemon! AND REMEMBER THROUGHOUT THE NCAA BASKETBALL TOURNAMENT…A SENSE OF HUMOR NEVER HURTS! 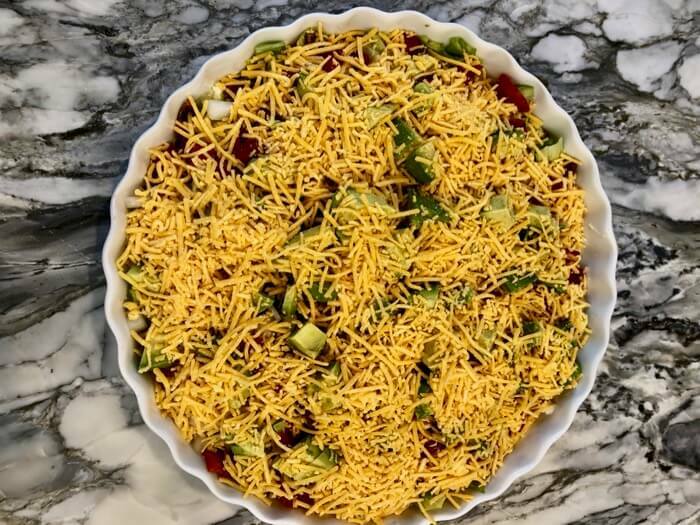 THE DIP’S MAKING THE DIP! Watch for more recipes throughout March Madness. Come celebrate with me. I’ll save you a seat at the table. Subscribe at top right to never miss a new blog post! MARCH IS A GREAT MONTH FOR MADNESS! MARCH MADNESS! Kathy, you are killing me. They look incredible. Great to see you guys last. Always one on my favorite outings. Would love to see the Vols play the Wolverines in the NCAA.